The crew of International space Station Expedition 47 is comprised of very experienced space fliers with one or more previous flights to space as well as rookies completing their first long-duration mission to space. 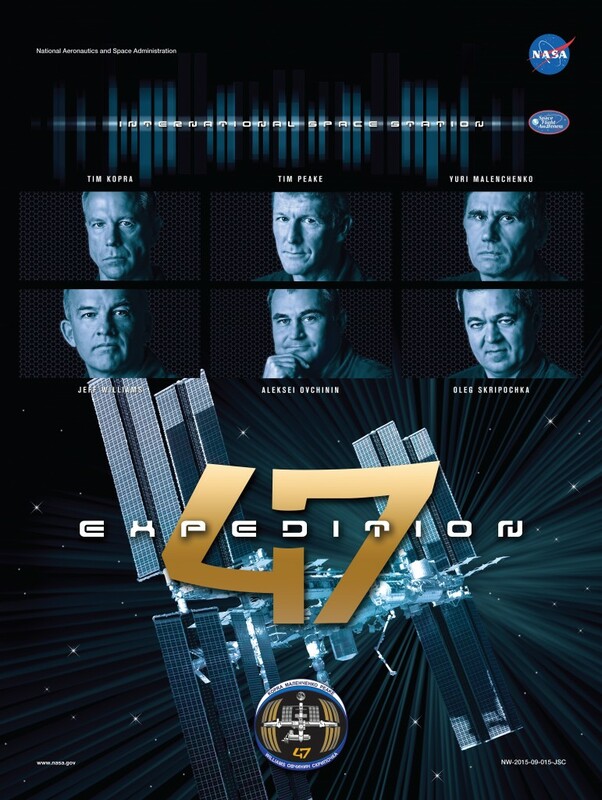 Expedition 47 is commanded by U.S. Astronaut Tim Kopra who is joined on the U.S. Segment by ESA Astronaut Tim Peake and Station veteran Jeff Williams who returns to ISS six years after his last mission. 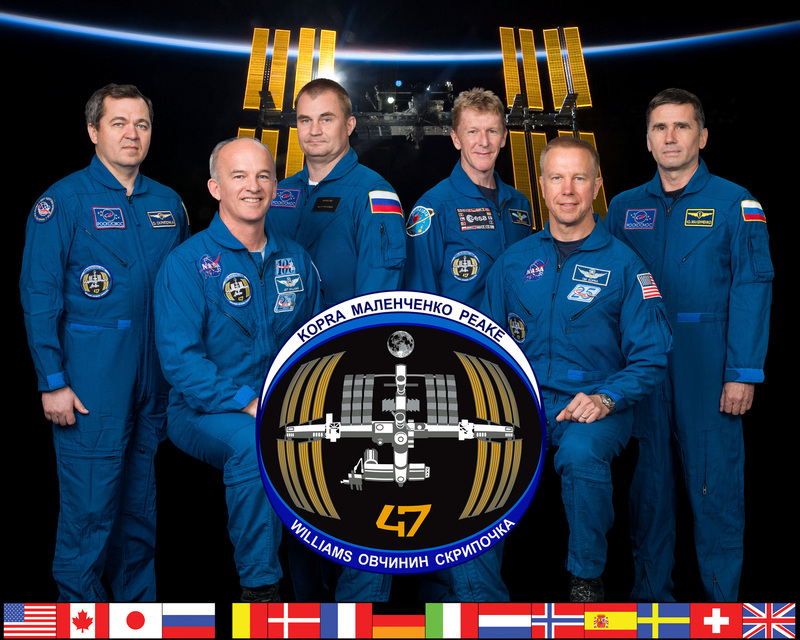 The Russian Segment will be staffed by Segment Commander Yuri Malenchenko making his sixth space flight, and Flight Engineers Alexey Ovchinin and Oleg Skripochka. 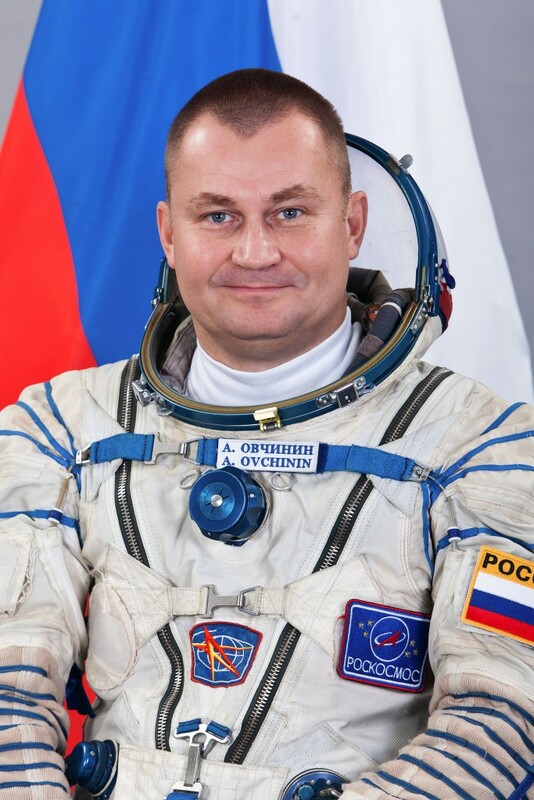 Yuri Malenchenko already ranks in the Top 10 of Cosmonauts with the most time spent in space, having made five prior long-duration missions in an accomplished career. Selected as a Cosmonaut in 1987, Malenchenko flew for the first time in 1994 to the Mir Space Station for a half-year mission. 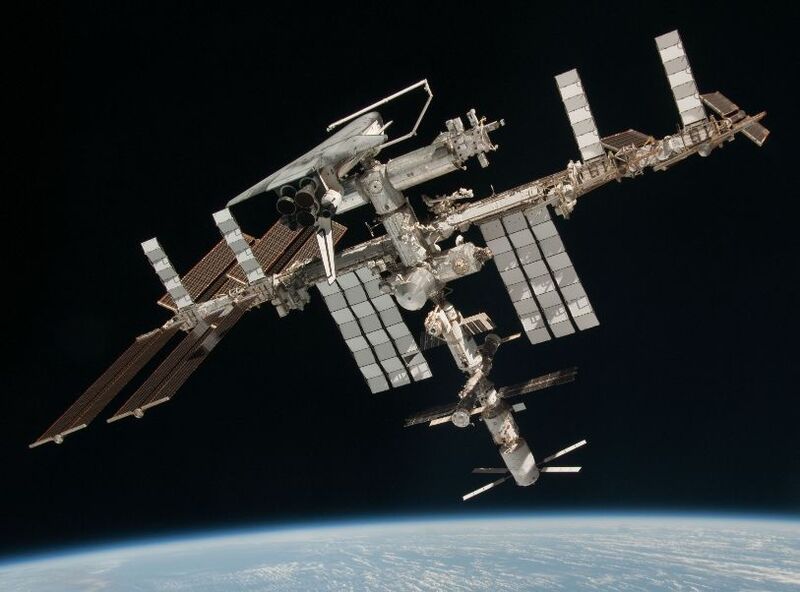 Transitioning to the ISS program, he was part of Space Shuttle Mission STS-106 that prepared ISS for permanent inhabitation. He conducted four Expedition missions to the Space Station for Expedition 7, 16 and 32/33, also amassing 30 hours of spacewalking time. 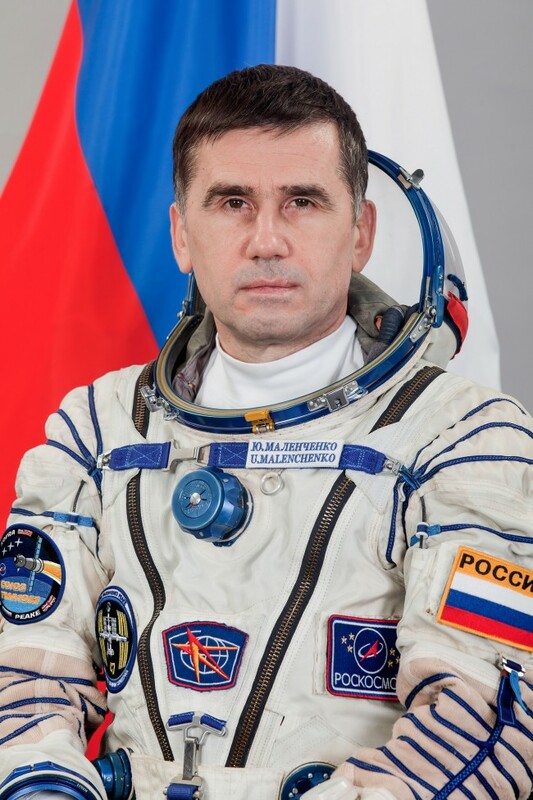 Overall, Malenchenko logged 641 days in space and will reach 814 days at the end of his flight, placing him second in the all-time list after record-holder Gennady Padalka. Tim Kopra comes from a military background, having served as a test and helicopter pilot instructor before he started working in the technical branch of NASA. 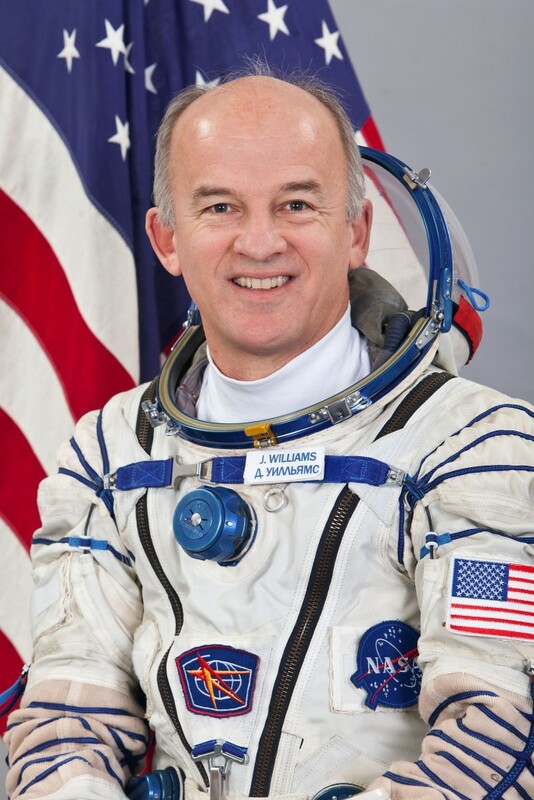 He was selected as an Astronaut in 2000 and began training for a mission to ISS on the Space Shuttle. 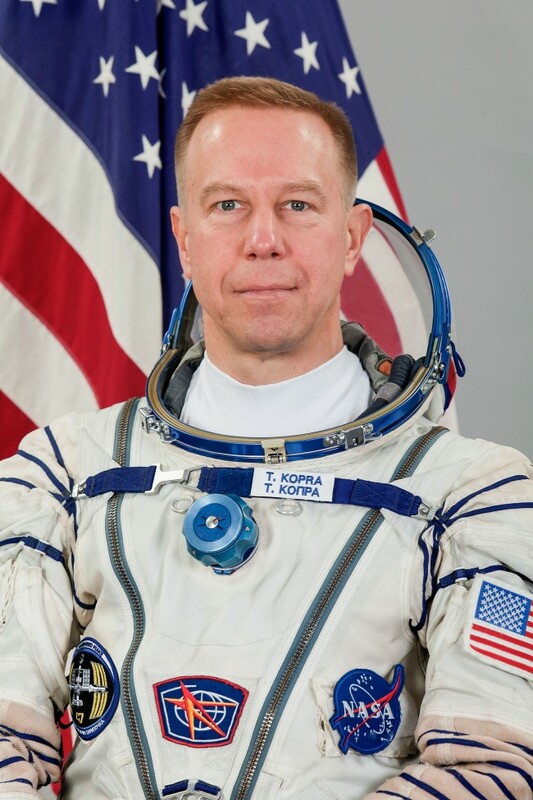 Kopra launched aboard Endeavour in 2009 and worked aboard ISS for nearly two months as part of Expedition 20, returning to Earth on Space Shuttle Discovery after a mission of 58 days. He was selected for Space Shuttle mission STS-133, but sustained an injury in a biking accident just weeks before launch. 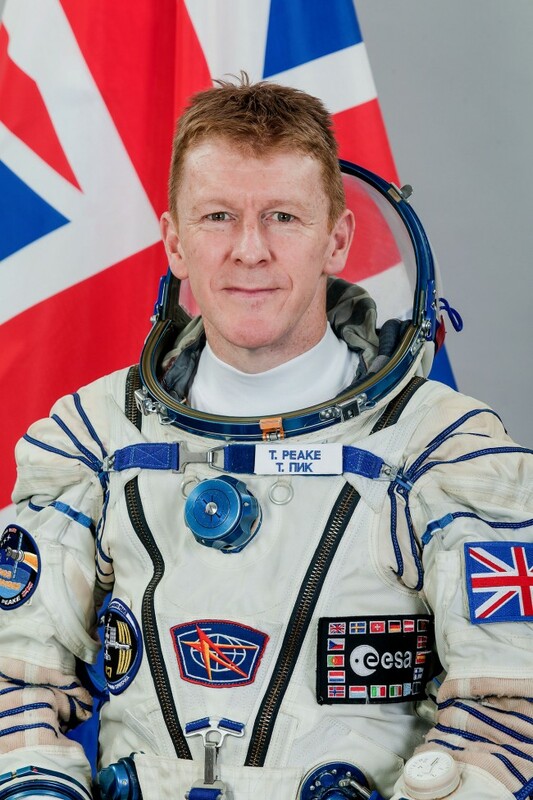 Tim Peake is a European Space Agency Astronaut of British nationality. He had a military education and became a helicopter pilot and pilot instructor in the British military and as a test pilot in private industry. Over the course of his career, he logged 3,000 hours flying over 30 different types of aircraft. 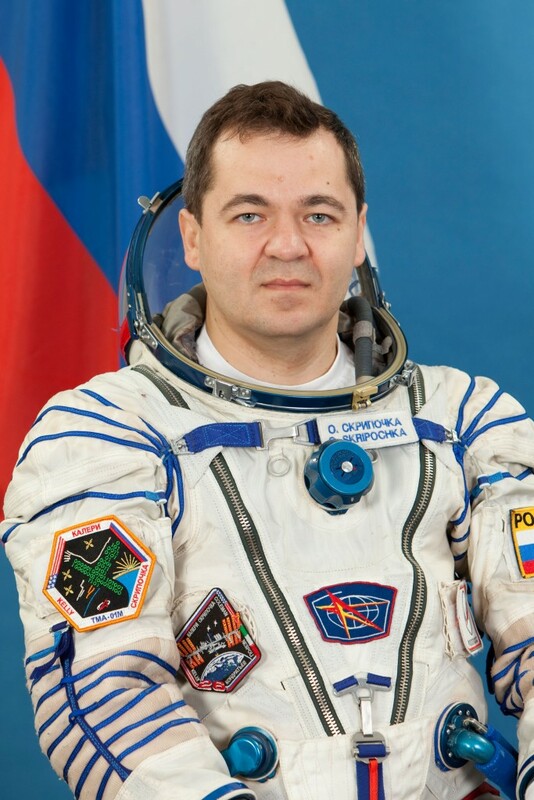 Peake was selected as an Astronaut in 2009 as part of six selected candidates and his flight assignment for Expedition 46/47 was announced in May 2013. 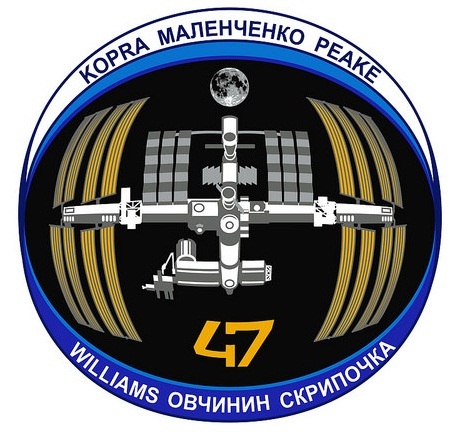 Customary for ESA missions, Peake’s flight has its own designation – Principia.